Books to organize your home and office: start today, not tomorrow! Children love order! I guarantee it. I have organized all ages (3 years and older) and they have responded beautifully. Read each chapter as a lesson, then immediately implement the steps-it’s that easy. In no time, your child(ren) will be effectively operating in organizational principles and you will reap the benefits as they are better equipped to handle their chores and pick up after themselves. You are going to love this e-book. It’s a no-nonsense, quick, simple solution to organizing your kitchen. 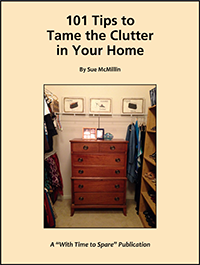 I’ve been organizing homes and offices since 1982, and I’ve seen just about everything when it comes to organizing clutter. One time I couldn’t walk into the walk-in pantry. Then there was the client who had 17 cookie sheets. The problem was she lived alone and hardly ever baked. I have many funny stories as a result of my experiences. This book will teach you the step-by-step process of de-cluttering your kitchen. 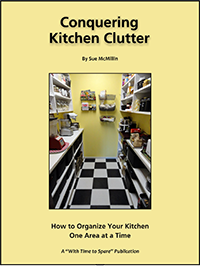 It’s written so you can literally organize your kitchen in 30 minutes a day, one area at a time. Organizing your home is on everyone’s mind these days. TV shows proudly demonstrate the benefits and joys of a de-cluttered environment. You are going to love this e-book! It will offer you concise, succinct, simple tips on how to make your home a thing of beauty and order. 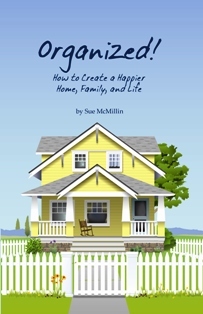 From bedrooms to home offices to closets to paperwork to garage to kids’ rooms, even ideas on how to organize your thinking, this e-book will inspire and motivate you to start the process of organizing your home environment for greater productivity and beauty. 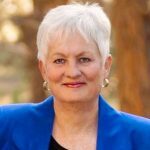 These tips are the result of the author personally working since 1982 with businesses and individuals in their homes in 46 states, England and Germany. Ever tried to organize a drawer or shelf and it fell back into disarray? Every time I ask that question in my seminars all around this country, I get the same response. Groans and “you betcha’s” are audibly expressed. Everybody seems to be struggling with how to get and keep their stuff organized. 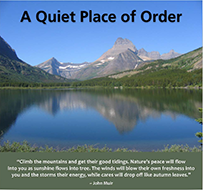 This 18-page E-book will explain succinctly the purpose of order, the benefits and problems of order, the power of order and the principles of order. I then go into detail as to the priorities (first things first) and paradigms of order (how we need to view order) and then the procedures of order; explaining just how to do the actual organizing. 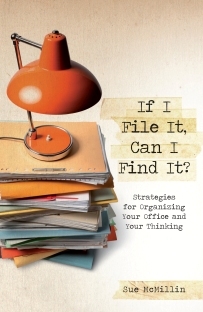 If you want a quick read that shares the basics of the why, what, when and wherefore of getting organized, this quick read is just the solution to help you start the process of bringing order and sanity to your environment. If I File It, Can I Find It? This book will teach you how to finish what you start and conquer distractions. Learn new paradigms that will make it a snap to organize your time, tasks, and things. You will eliminate clutter and set up a nifty, simple system so you can gain space and be more productive. 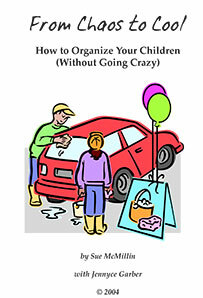 In this book, you will learn tips to get your home, children and paperwork in order. The result — more space, more time and more peace of mind.